It seems like just yesterday our busy professors were assembling the end of year holiday gift guides, but now here we are enjoying our first break of the summer season! An alcohol professor is constantly nurturing that bibulous education, so much of the weekend will be spent testing out wine, beer, spirits and cocktails. Here’s what the Alcohol Professors will be sipping this Memorial Day weekend. Maggie Kimberl: This Memorial Day I’d like to bring attention to a fabulous charity calledCigars For Warriors. They collect premium cigars and accessories for soldiers with priority given to those in combat zones. My ideal observance of Memorial Day in Louisville would be to go toMatch Cigar Bar. Here I would order anElmer T. Lee because he was not only the Master Distiller who created the Single Barrel Bourbon category, but he was also a World War II Veteran. Along with my Elmer T. Lee I would smoke a cigar and donate a cigar to Cigars For Warriors. Donations can be made in the form of cash or cigars and there are two locations in Louisville that accept donations-Riverside/Match andJ. Shepherd Cigars. Kevin Gibson:Call me crazy, but I'm going to be sipping a pale ale made from creek water. That's right. In Louisville, Ky., Beargrass Creek is known by many as "the creek in your backyard," because it runs right through the heart of the city. A local conservationist (who is also a home brewer) worked with Apocalypse Brew Works to create Beargrass Brew, made from purified water right from the creek. It's medium bodied and crisp, has just enough hop character to intrigue, and is completely devoid of tadpoles or crawfish. Early summer deliciousness. Jake Emen: Let's assume that after weeks of dreary, cloudy skies and cold temperatures that D.C. is finally due for some sunshine and warm weather. In that case, it's aperitivo and spritzer time, the most appropriate way to kickoff summer in earnest. There's no better place to start than with local amaro and liqueur producer Don Ciccio & Figli. I'll stock up on a handful of their offerings, such as the Cinque aperitivo, the new Amaro Donna Rosa, and their mandarin orange liqueur, Mandarinetto, grab a few different tonics and sodas, and mix and match. When the sun goes down, those bottles then shift roles to become flavorful and versatile partners for heftier cocktails as the rest of the liquor cabinet comes into play. 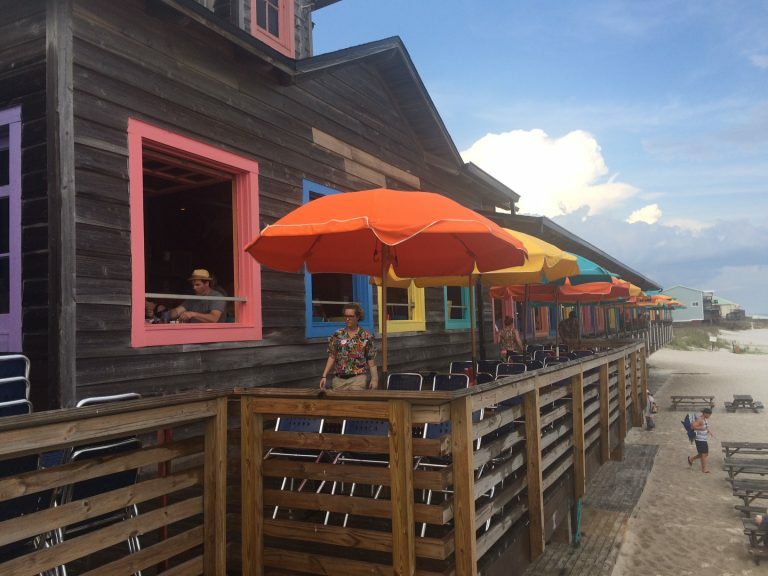 Sara Havens: Once again, I'm headed south to the beaches and tiki bars of Destin, Fla. I'm looking forward to getting to know the area's signature drink, The Bushwacker, and find the bar that makes it the best. Many claim to have invented the creamy dream drink that is made with milk and/or ice cream,Kahlua and dark rum, but few make it to perfection. I hearHarry T's and theRed Door Saloon know the Bushwacker like the back of their hand, so I'll probably start there. I'm also looking forward to the giant Bloody Marys served up byAnother Broken Egg Cafe that'll help me start my day, and enjoying the oceanfront view fromPompano Joe's while sipping on a Pina Colada. Yes, it appears I'll be taking a vacation from my diet as well this weekend. Amy Miller: We're having friends over this weekend, and my plan is to whip up a Spanish-themed feast of gazpacho and tapas. It's really an excuse to break out this bottle of fino from one of my favorite producers. Similar to Equipo Navazos, Alex Russan ofAlexander Jules bottles select barrels from different bodegas. This one is from 4 barrels of a 65-barrel solera from the San Francisco Javier Bodega in Jerez. It was aged for 9 to 10 years and bottled unfiltered. Every bottle I've had of his so far has been so unique and surprisingly delicious. I can't wait try this one. Adam Levy: This is a weekend for simple relaxation. I’ll be popping open a Samuel Adams Nitro White (gold medal, 2016 NY International Beer Competition) as the coals heat up, and with our barbecued steak, 2013 Miner Family Cabernet Sauvignon. As with last year, the rest of the weekend imbibing calls for my favorite summer cocktails, good bourbon, such as Basil Hayden, with ginger ale and lime. Amanda Schuster: I’m a little obsessed with Jacob’s Creek Double Barrel series. It’s all the rage to finish whisky in wine barrels, but wine in whisky barrels? The Aussie winery decided to experiment, and the results are both surprising and delicious. The cabernet spends a few months in Irish whiskey barrels, while the fruity shiraz gets a dip in blended Scotch, which brings out the plummier fruits and deepens the tannins. I love this wine with a burger or grilled lamb. After a long hot day in the sun (finally! What took you so long, Mama Nature? ), I love the fruity and fizzy refreshment of a Paloma or Michelada. I've created a Michelada/Paloma hybrid of sorts, using Shock Top Summer Grapefruit in a salted rim highball glass with a shot of Tres Papalote mezcal and a grapefruit wedge. I'd also love to check out Sailor Jerry Rum's Fleet Week celebrations in Manhattan at some point, and hopefully have the opportunity to buy a sailor a drink! As much as we’ll be enjoying these beverages on a long weekend, let’s all take a moment to reflect on why what this weekend was created for, to honor the soldiers who gave their lives serving our country. To all of them and their families, we toast you. Cheers! Would You Like Some Wine With Your Burger?